Cheating scandals are nothing new in the world of gambling, or in the world of poker, be it online or live. While the industry has gone to great lengths to demonstrate the integrity that the game and players maintain, there are those that continue to act with ill intentions. According to a translated article that appeared in Le Journal De Montreal, a French-Canadian periodical, Guy Laliberte, the billionaire founder of Cirque du Soleil, feels that high-stakes players colluded against him on Full Tilt Poker. In the article that published some time ago, Guy Laliberte made statements that make many think that he believes he was the target on multiple occasions of high stakes collusion while playing at Full Tilt Poker, prior to the Black Friday shutdown. The conversation around Laliberte’s interview made for good fodder at various Internet poker forums, with many players discussing rumors that have circled for years. Laliberte’s comments indicate that there was a group of Full Tilt Poker players that were able to use “virtual buy-ins” and not “real” money to go all-in against him in hands played at cash tables. Because these players had an endless supply of funds, there was no shortage of attempts to take shots at Lalibete. It’s unsure how this accusation plays into the concept of collusion, or what the actual meaning of “virtual buy-ins” really means, but the thought of someone having access to unlimited funds on any poker site is nothing short of troubling. The more substantial claims of collusion came when Laliberte purportedly said that a select few of players, perhaps two or three, would play together against him while all seated at the same table. These players would push action further and force all-in behavior out of Laliberte, including an endless string of squeeze plays and multi-raises. According to one reader of the article, Laliberte isn’t upset about any potential loss of funds over the matter. Given that the man has made billions in the entertainment industry, not sweating some high-stakes losses can be understandable. However, the man naturally cares a great deal about being violated by a couple of pros, and has a sour taste in his mouth over the matter. Controversial professional poker player, and former spokesperson for Full Tilt Poker, Mike “The Mouth” Matusow purportedly stated back in 2011 that players would equity chop all-in pots against Laliberte, a form of collusion. Posters in forums have also said that they have heard more than one reference from high-stakes players, both online and live, that feel like Laliberte has been the target of cheating. While most of this is subject to the rumor mill, many players feel where there is smoke, there is fire. Guy Laliberte is a Canadian circus performer who has built an entertainment empire whose net worth is estimated at $1.8 billion in 2014, according to Forbes. He is known to be an outspoken philanthropist and has gained famed as one of the richest people in the world who also happens to play a lot of poker. To date, he has never won a major tournament, but has one final table credit to his name. 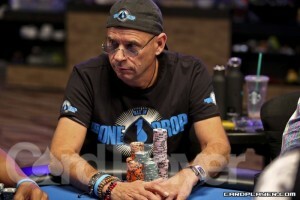 Back in April 2007, Laliberte finished fourth at the World Poker Tour (WPT) Season Five event at Bellagio in Las Vegas. He has also appeared on television on episodes of High Stakes Poker and Poker After Dark. Under the name “Ahtata” he would also appear at Full Tilt Poker, often in nosebleed cash games. Laliberte also gained notoriety by establishing the Big One for One Drop tournament, which was first played at the 2012 World Series of Poker (WSOP). The tournament was a $1 million buy-in event, with part of the prize pool being donated to his charitable organization, One Drop Foundation. The first tournament in 2012 raised a stunning $5.33 million for the organization that fights worldwide poverty.